A native of South East Asia and the north of Australia, saltwater crocodiles are the largest of all crocodile species, growing to a length of up to six meters. The animals can weigh more than a ton and unlike other species of crocodile can survive in both fresh and salt water. This enables them to cover lengthy distances by sea. The animals have a strong territorial instinct and are extremely aggressive. They attack anything that moves in the water or near the shore – including humans. After being hunted for their leather right up until the 1960s, in the '70s the severely-reduced population was made a protected species in amongst other places Australia's Northern Territory, which lies about 450 kilometers south of East Timor. "The geographic characteristics of the volcanic island means that it only offers very limited habitat to support a larger population. So we wondered where all the crocodiles in East Timor come from," says Brackhane. Surveys of workers on an oil platform in the high seas between East Timor and the Northern Territory found that saltwater crocodiles have often been sighted in the vicinity of the platform. So the researchers developed the hypothesis that the animals may migrate from Australia to East Timor. "We believe that in many areas the habitat in the Northern Territory has reached maximum carrying capacity and juvenile saltwater crocodiles cross the sea to East Timor to find new habitats," says Brackhane. 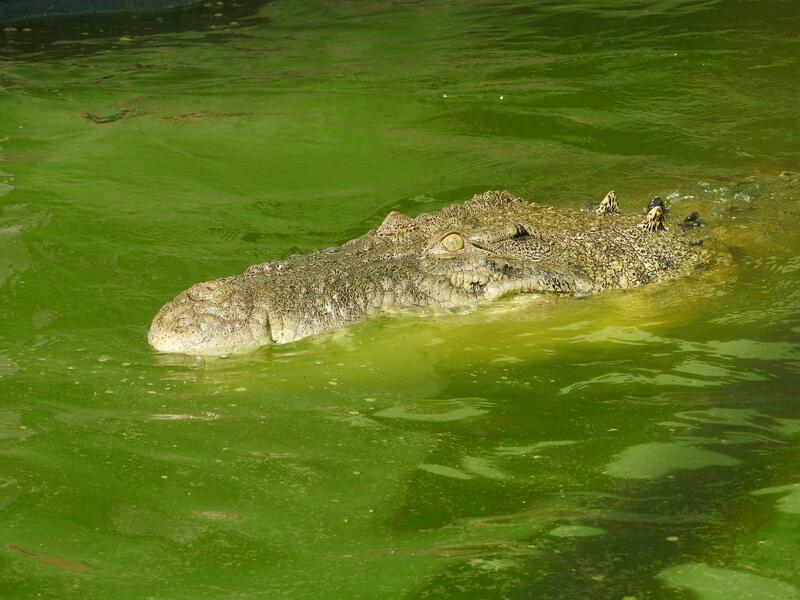 The origin of the saltwater crocodiles in East Timor still has to be confirmed by a DNA analysis. However, Brackhane says that it is clear that many nations of South East Asia and Oceania has had a problem with estuarine crocodiles since their stocks have recovered well under conservation. And in East Timor the animals receive even greater protection: inhabitants believe that the island was created from a crocodile, so hunting "Grandfather Crocodile" is strictly prohibited.